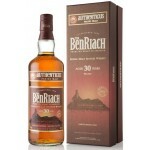 The BenRiach 30 years old Authenticus is an older and peated Speyside single malt from the BenRia.. 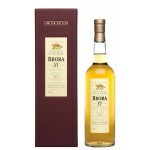 The Brora 37 years old Special Release 2015 is a Highlands single malt from the closed Brora dist.. 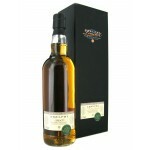 The Cadenhead Strathclyde 28 years old 1989 is an older Lowland single grain bottled by the indep.. 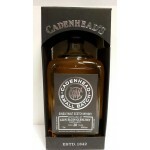 The Cadenhead Small Batch Glen Elgin Glenlivet 20 years old 1995 is a Speyside single malt bottle.. 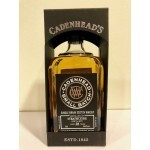 The Cadenhead Small Batch North British 32 years old 1985 is an old Lolwands single grain bottled.. 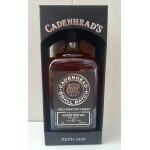 The Cadenhead Small Batch Strathclyde 28 years old 1989 is an older Lowland single grain bottled .. 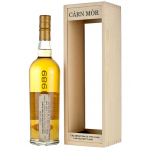 The Carn Mor Celebration of the Cask Caperdonich 29 years old 1988 is an old Speyside single malt.. 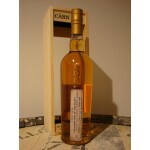 The Carn Mor “Celebration of the Cask” Girvan 27 years old 1989 is an older Lowlands single grain.. 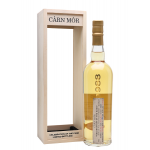 The Carn Mor “Celebration of the Cask” Girvan 28 years old 1989 is an old single grain from the G.. 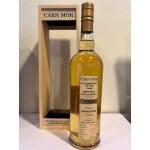 The Carn Mor “Celebration of the Cask” Glen Keith 28 years old is an older Speyside single malt b.. 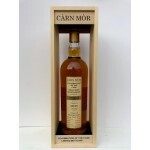 The Carn Mor “Celebration of the Cask” Imperial 28 years old 1989 is an old Speyside single malt .. 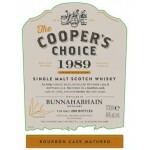 The Cooper’s Choice Bunnahabhain 26 years old 1989 is an old Islay single malt from Bunnahabhain .. 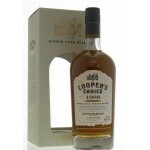 The Cooper’s Choice Bunnahabhain 28 years old 1988 is an old Islay single malt bottled by the ind.. 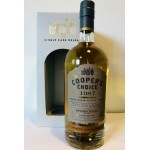 The Cooper’s Choice Invergordon 30 years old 1987 is and old Highlands single grain from the Inve.. This 25 years old Cragganmore was bottled in the 2014 Special Release series by Diageo. It's the .. The Glen Grant 29 years old Adelphi Selection is an old Speyside single malt bottled by the indep.. 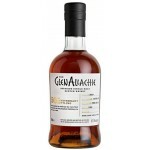 This Glen Grant 29 years old 1988 Adelphi Selection is an older Speyside single malt from the Gle.. The Glen Moray 25 years old Port Cask Finish Batch 2 is a small batch release Speyside single mal..
GlenAllachie distillery bottled for their 50th Anniversary. In addition it was one of the first b.. 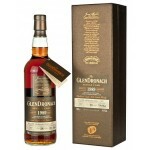 The GlenDronach 28 years old 1989 Pedro Ximenez Sherry Puncheon 5476 Single Cask Batch is an olde..